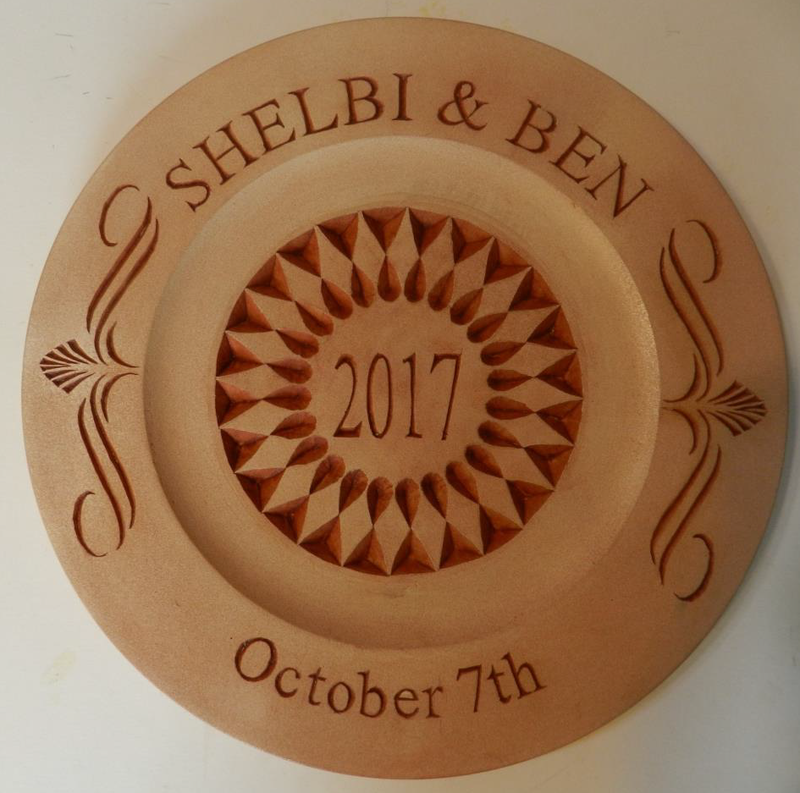 You are invited to learn more about Chip Carving during this Webinar. And it works out to being free! The Webinar is $4.95 but at the end of the Webinar I’ll give you a coupon code for $4.95 off your next Store purchase. Win-Win! You learn and You save! If you can’t attend during the Live event, don’t worry. You’ll get the Replay Link after the Webinar has concluded. 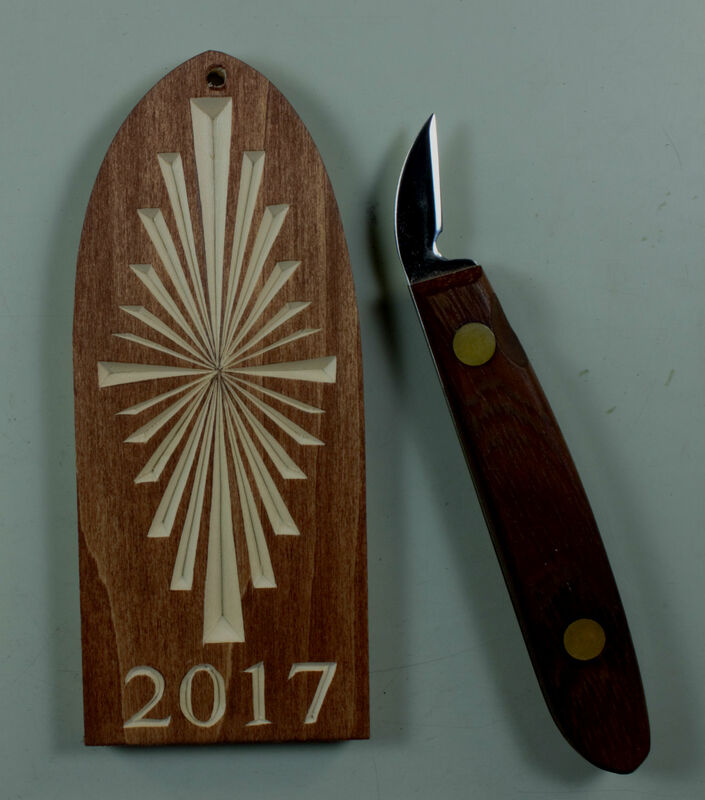 I’ll be showing you how to carve 3-corner chips along with how to carve the 2017 Christmas Ornament. I’ll demonstrate in basswood so carving it in EZboard will be a snap! Hope to see you this Wednesday!! Leave your feedback for Steve in the Comments section. 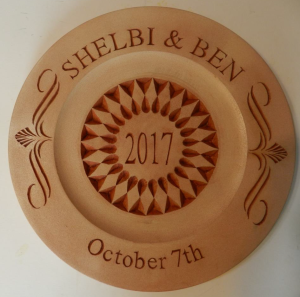 I recently ordered a 12″ plate so that I could carve a wedding plate for my niece. This is my first large project, after practicing on several smaller projects. As you can see from the date, I even have it done early! It was a breeze using the EZboard. 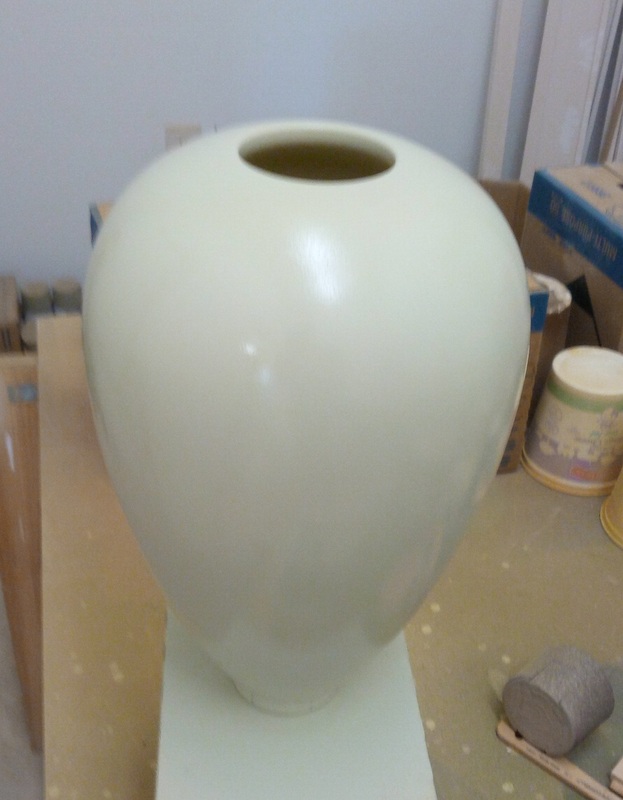 The finish is your Satin Ivory Silk (Rustoleum 2X spray paint) and Cherry Gel Stain process. Thanks for your demos, material, and patterns! 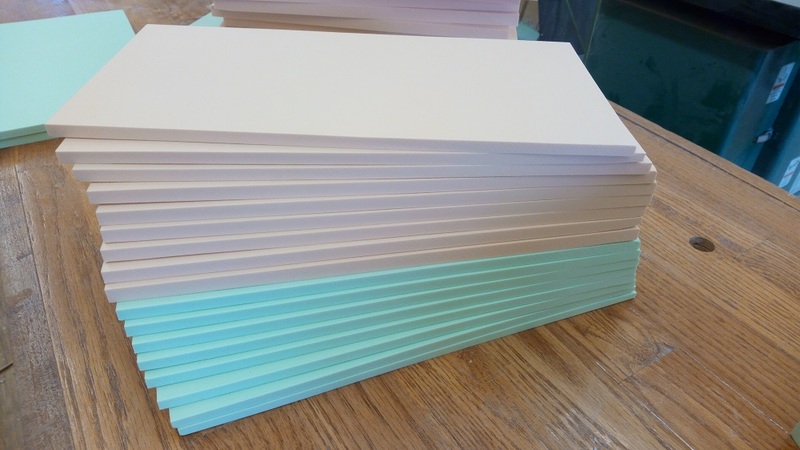 Did you know that we will machine a custom EZboard (high-density urethane) blank for your project? 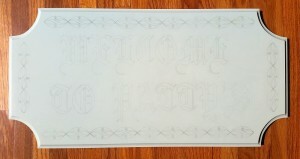 Whether you are making a sign, wall hanging, address plaque or whatever…we will machine the blank however you like. 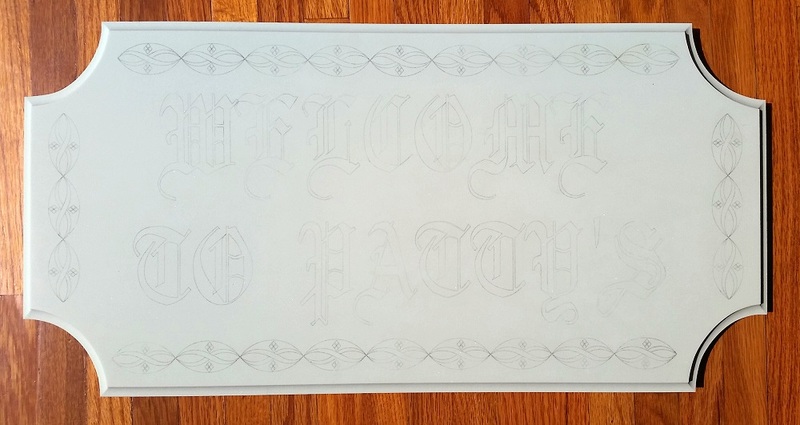 And…we will create the pattern and either apply it directly to the blank (as shown below) or apply the pattern to Vinyl Mask so you can apply it after painting! Most shops won’t take this small custom work or if they do the price will be sky high. Not so with us! Custom doesn’t have to mean expensive. Email me to get started NOW!